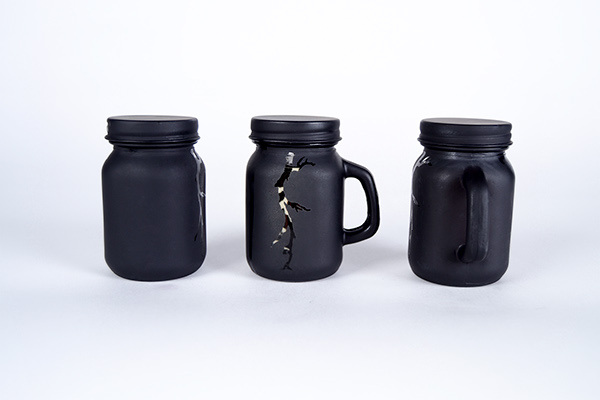 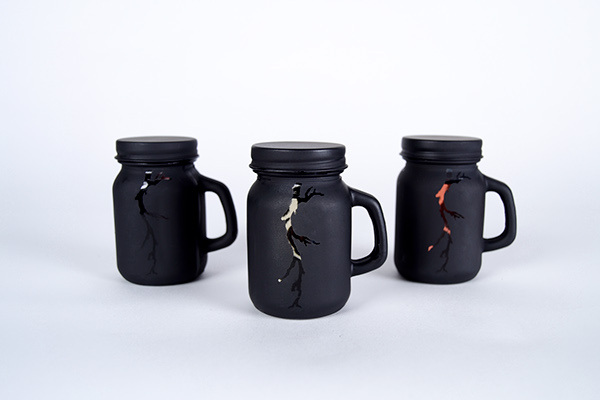 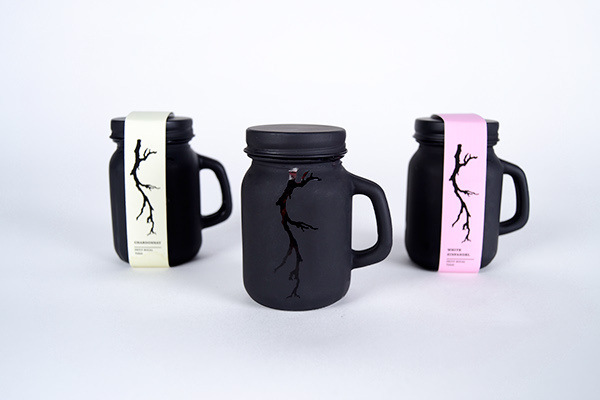 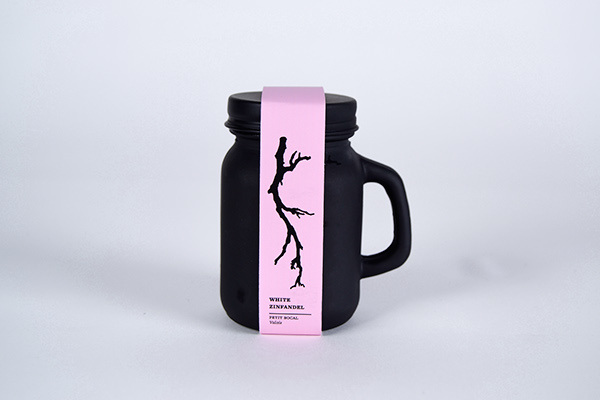 Petit Bocal is a fictional wine company which specializes in selling its wide variety of wines in black matte mason jars with handles. 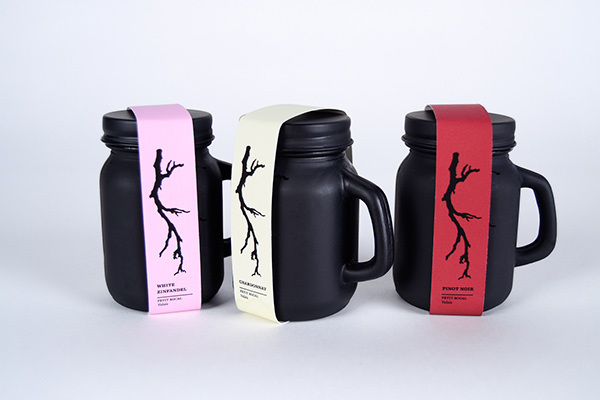 The unique shape of these bottles offers a more suitable design for drinking in social settings or on the go: It requires no bottle opener or glasses, is easy to hold and carry, offers portions suitable to byob social gatherings, and can easily be re-used. 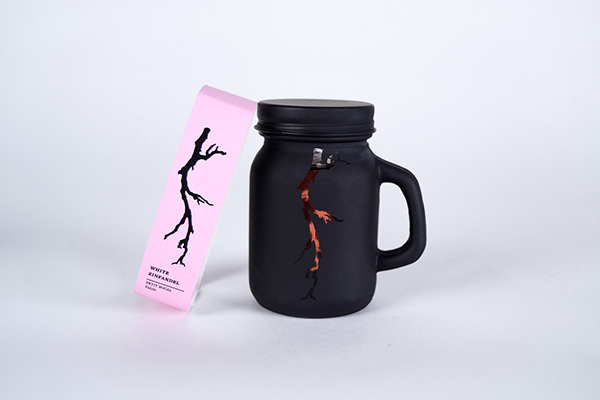 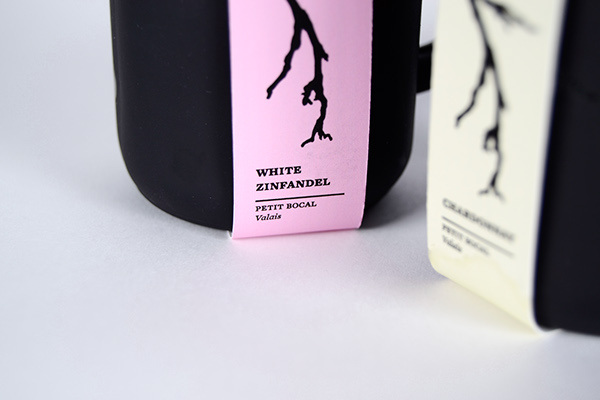 Furthermore, behind the labels, a sleek vineyard branch breaks the matte coating of the jars to reveal a sneak peak of the content. 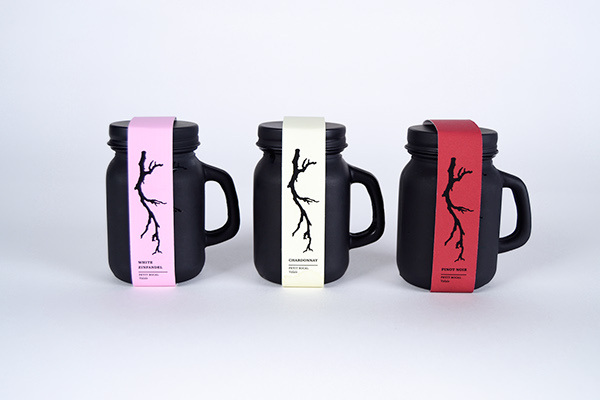 Petit Bocal is a wine company which specializes in selling its wide variety of wines in black matte mason jars with handles.